30 DIAMONDS! 30,000 GOLD! 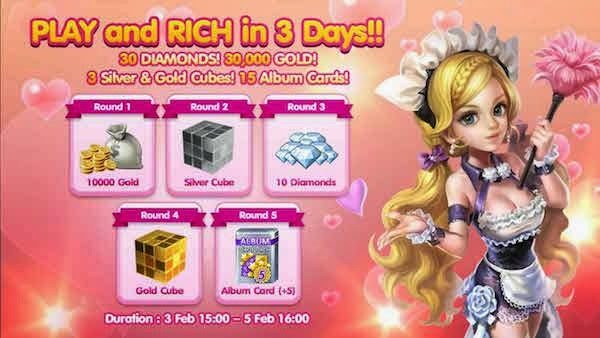 3 Silver & Gold Cubes! 15 Album Cards! 30 DIAMOND! 30,000 GOLD! 3 Silver & Gold Cube! 15 Album Card! ระยะเวลากิจกรรม : 3 ก.พ. 15:00น. - 5 ก.พ. 16:00น.